I’m sure I could happily write a paean to the toilets in the Royal Academy’s newly renovated Burlington Gardens site. The bulging timber-clad structure wrapped around the public conveniences could be mistaken for a massive sculpture, a riff perhaps on Richard Serra, but with the imposing industrial steel substituted to reflect our eco-artisanal times. Meanwhile, in the ladies (as far as one can recall the RA has not gone gender neutral), might suggest the elegant curving line of a Nash terrace. 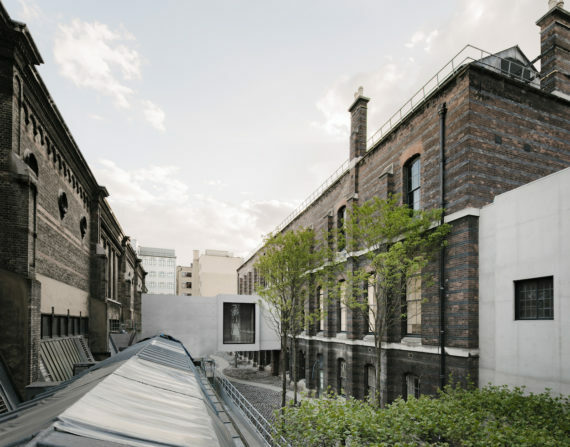 The newly kitted-out venue, which is tucked behind the main building just north of Piccadilly, opens to the public today, and is now connected to the main Burlington House site by a walkway, in what the architects call a ‘unified campus’. 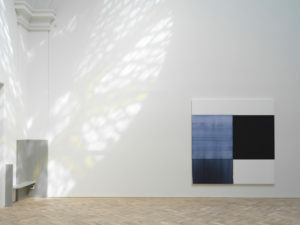 This incorporates a small exhibition space where work by a handful of the RA’s first-year graduate students can be seen. 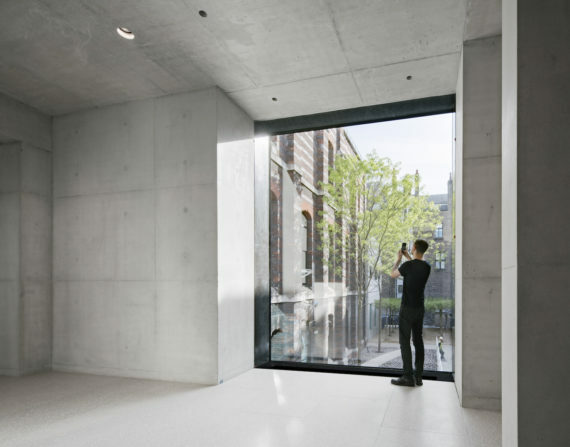 David Chipperfield Architects, who built both Turner Contemporary and Hepworth Wakefield, have, of course, retained the integrity of the Grade I listed building, but imagination and cost (a whooping £56m) haven’t been spared for the interior upgrade. 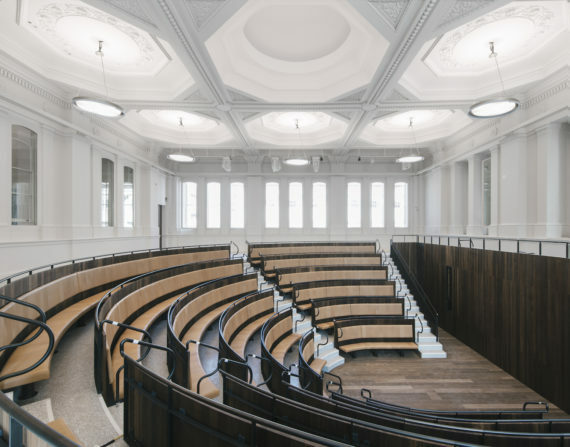 An impressive new lecture theatre, suggesting a small amphitheatre in its circular design, conveys a sense of some of the founding values of the artist-run institution, which, when it was established in 1768, sought to embed into British culture an appreciation of the ideals of classical beauty, as well as to support artists and elevate them to the esteemed status of their continental colleagues. At last the RA can display its own collection in rooms dedicated to temporary displays. The academy’s president, Christopher Le Brun, has curated an exhibition, ‘The Making of An Artist: The Great Tradition‘, which looks at the first 60 years of its founding. Satan greets us first. He is naked, muscular, Teutonic-looking, with blond curls peeping out from under his massive, plumed helmet, perhaps to distract our gaze from his curiously veiled, out-of-focus nether region. Thomas Lawrence, better known for painting such delicate portraits as The Red Boy, regarded it as his greatest painting, but have artists ever been the judge of their best work? The display includes the RA’s first president Joshua Reynolds, JMW Turner, Angelica Kaufmann, one of only two female founding members, and some wonderful small landscape oil sketches by John Constable, who only belatedly became an academician at the age of 52, while his rival Turner had managed it at 26, and had topped it by becoming the RA’s professor of perspective just a few years later. 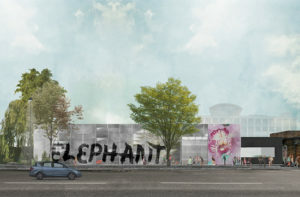 But one can’t say the collection is a particularly exciting one, and the focus of the new Burlington Gardens site will be on the temporary displays of contemporary artists. This inaugural one belongs to Tacita Dean, in the last of three displays exploring traditional genres. With still life at the National Gallery and portraiture at the National Portrait Gallery, here is an exploration of her relationship to landscape. 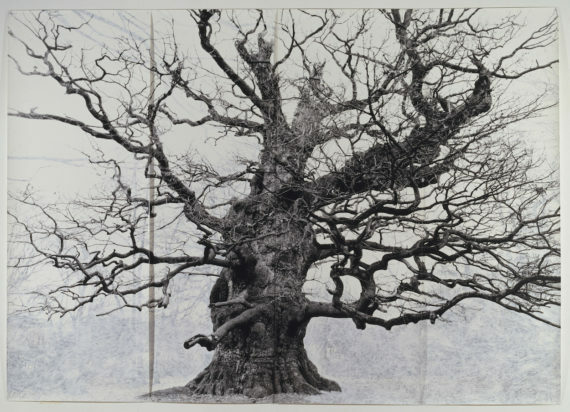 The first gallery is filled with white chalk drawings on black slate: a wall of Constable-esque cloud studies, a spectacular chalk drawing of an Alpine scene that fills one wall, and an enlarged photographic image of a gnarled tree. A collection of small stones sit specimen-like in a vitrine, their shapes echoing the bulbous forms of the cumulus clouds overhead, as well as the mysterious cumulus cloud in a painting by Paul Nash. In the painting the cloud appears to resolve into tumble of curls framing a blank face that hovers like a tethered balloon. Notions of the sublime and anthropomorphism in nature have both informed the way artists have approached the genre, while Dean’s preoccupation with collecting and classifying explores a further impulse – that of ordering and gaining dominance over nature. 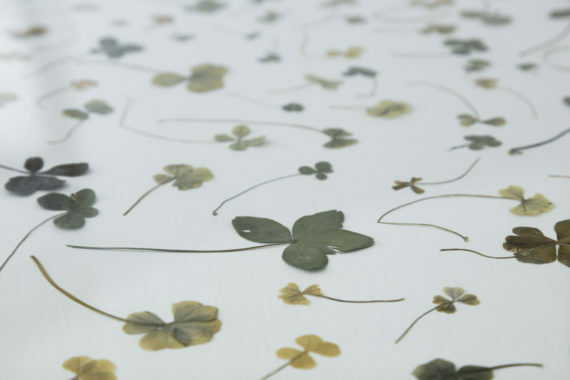 Her collection of clover leaves fill up eight vitrines, from four leaves to nine, with a single nine-leafed clover at the end, while elusive eight is missing. Finally, there’s Dean’s hour-long double-screen film, Antigone, which makes reference to Sophocles’ tragedy. Shot on 35mm film, it take us from the geysers of Yellowstone National Park to the plains of Illinois in a town called Thebes. Measuring time through nature, with the recurring motif of a solar and lunar eclipse, each frame is a seduction of the senses. There’s also desultory conversation, beautifully-lit interiors, some intoned poetry, an actor who traverses the land as Oedipus, wearing shades and with a stick but sporting a ZZ Top beard. 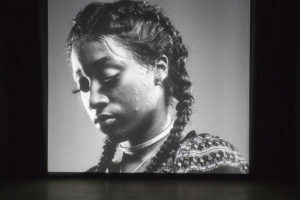 Dean is an aesthete, and her tasteful aestheticism captures you in the moment, but it also drags on a bit. 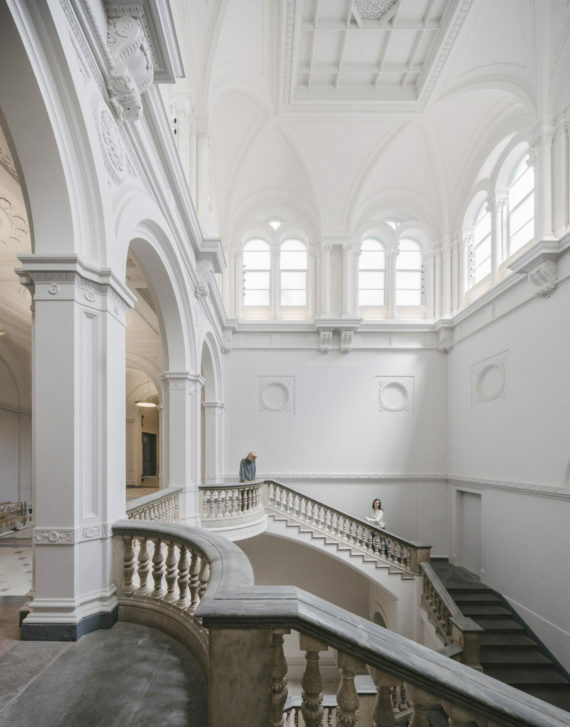 The new Royal Academy opens to the public Saturday 19 May 2018.